I guess from the serious irregularity of posts on my blog, you guys realized that I had become so caught up with life that I didn’t get time to write a single blog post. The publishing house where I work, the boss keeps telling me I need to make time to write, and that I ought to schedule times in the week when I ought to just write down the blog posts. Another mutual friend believes that I don’t take my blog seriously enough. Well, I do take my blog seriously. However, given the distance I have to travel every day and saddled with a job that makes me work from Monday to Saturday, it gets a little difficult. Writing is not something like managing social media. I’m sorry Mr. Hemingway, but I cannot just suddenly look at the clock decide it’s time to write, so I’ll sit and bleed at the typewriter. I agree that writing is somewhere between torture and fun, and honestly, had money not been the issue I’d have gladly rented out a room to sit and write. Anyway, instead of being passive aggressive, I decided the best way to solve my little writing problem was to make sure I find a way out of this routine. I have always believed no matter what big a mess you get into, there’s always, always a way out. In today’s world, writing is a rather difficult career to pursue. Because not only do you have to write your stories, but have to be the one selling it to your readers. So, hello, Social Media! I’m almost embarrassed to admit the number of social media platforms I’m part of and pretty active on. Trying to juggle that with work, and not be a loser without a life is pretty difficult. But you have to keep reminding yourself that you did not come this far to only come this far. That’s what I do, anyway. I also realize I haven’t been writing down advice about how to get on with your writing problem. 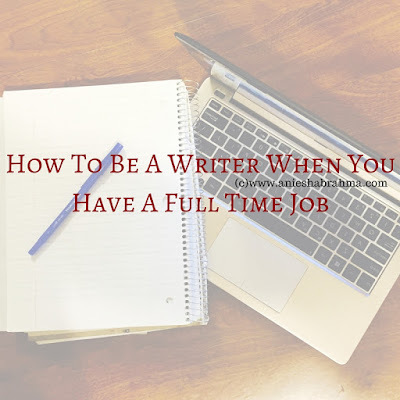 So you have a job and you need to figure out what time would be the best to fit in your writing. 1. 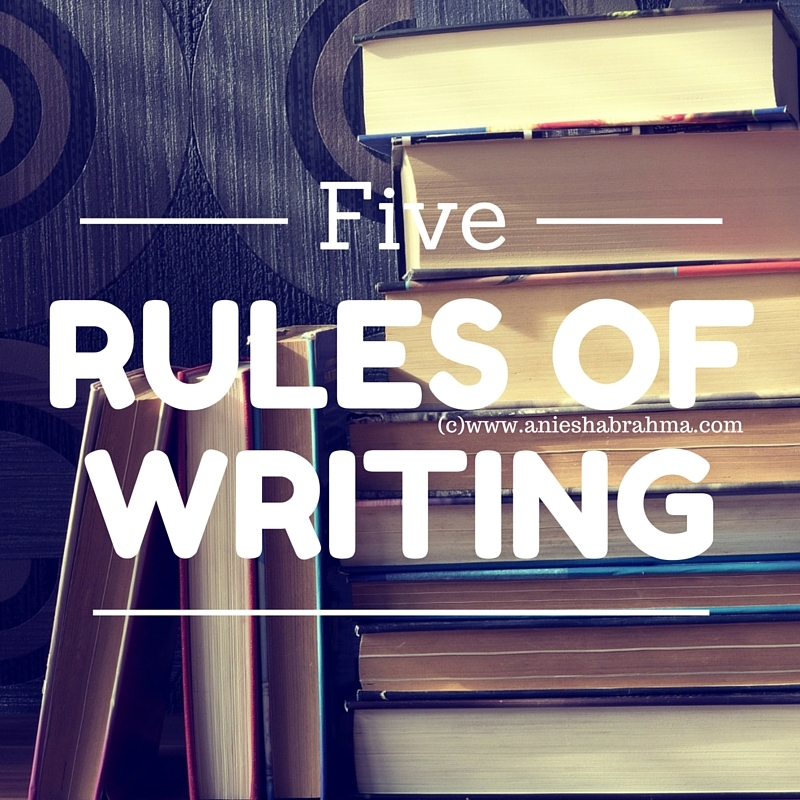 Do NOT write stories/novels in the office: Writing a blog post is different than writing a story. You have to keep so many points in mind, to avoid writing yourself into a plot hole. Also, people will come up to you and talk to you. Or ask you about some important work. You cannot expect them to understand that even a second of distraction, could make all that hard work go to waste. 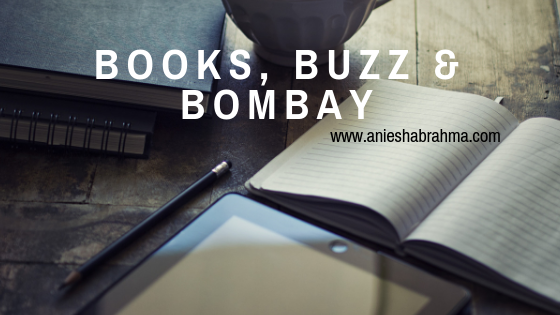 Instead write 500 word blog posts in your spare time at office. Those will be easier to proofread and edit, even if you have to leave off writing mid way to go tend to some work. 2. Go to sleep early, Wake up early: My mother has been telling me for years that it is a far better idea to wake up early and work, than to burn the midnight oil. I’ve only recently realized how true that is. Even though I still sleep late sometimes, when I wake up early, I am able to log 2,000 words before getting to office. 3. 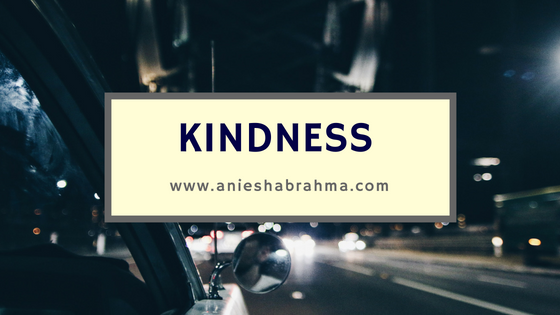 Plan Out Your Story: Learning to create a guideline for writing was one of the best lessons I’ve learned in my journey as an author so far. Because I more or less know what is happening in each chapter of the story, my story seems to come more naturally to me. To be honest, nothing scares me more than the blank paper and having to write that very first line of the story. 4. Research before, switch off Internet after: Another lesson I learned was learning to research the story in advance. I have notebooks for each of the stories I write, and whatever I think I might need while penning the story, I make handwritten notes for them. I switched off from the internet while writing recently and I noticed I could reach my word count goal twice as fast. Or else I just ended up surfing the net, finding a new tv show and binge watching all 8 seasons at once. 5. Don’t Stop Writing. Listen to Music While Writing: This last point has two things I have told myself: one, that no matter what happens I would never stop telling stories. I learned to write a long time ago because I didn’t feel comfortable speaking. And the second is that, I would make a playlist for the story I was writing and keep those songs on loop. The music does help to write. Hence, I have such a special bond with my headphones. These are just 5 things I do in order to write and meet deadlines, because apparently no matter what might be going on in your life you have to meet your novel submission deadlines. J So, I found a way around it to work. There’s a lot of silence in office for the week and I am hoping to use the silence to write more. So much more. Wish me luck, you guys. *Goes off to select music for her writing projects*. Got to practice these. Seriously. I have been on-and-off reading your blogs since the days u started blogging. Your growth has been tremendous. I can see the difference in the quality of your posts now. Very engaging, readable. There is a natural flair to it now that was missing there. And i really liked that line where u say- 'i have not come this far only to come this far." I will sleep tonight, hoping to take inspiration from you. Great tips for writing.There are some important points to be considered before writing.Refer the best essay writing service for more writing tips.Thank you so much for sharing this informative post.